I doubt there's a person alive in a technological country who hasn't looked around themselves and wished all the flashing, beeping, annoying stuff that surrounds us would just go away and let us have a little peace and quiet. After all, all those distractions can make anyone cranky! Worse than that, according to most research, all that distraction and multitasking is actually bad for us, leading to reduced productivity, shorter attention spans, an inability to concentrate, and possibly even leading to mental disorders. When is the last time you've really gotten some peace and quiet? When was the last time you weren't surrounded by gadgets all demanding, like petulant children, that you pay attention to them? When was the last time you've actually been able to relax and only do one thing at a time? No matter how long it's been, like that old chili commercial used to say: “Well, that's too long!” The perfect way to deal with the stresses of the modern world is to escape them from time to time, even if it's just for a weekend. 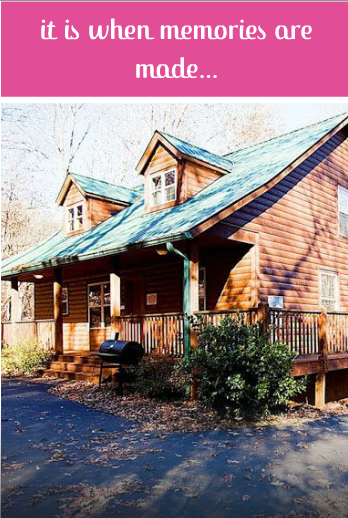 And whether you already know the natural beauty of Helen, Georgia, or if this is your first time hearing about the wonders of this secluded mountain town, we hope you'll agree that it's the perfect place to recover if you're suffering from 21st Century burnout. 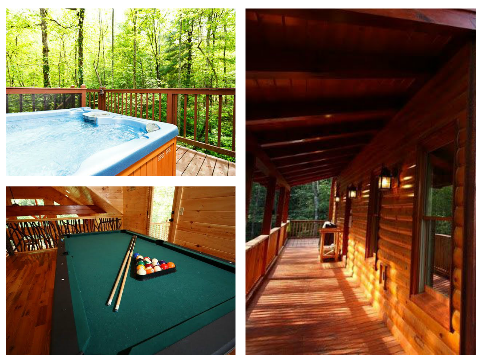 When you rent a Cedar Creek luxury cabin in Helen, you're getting the best of both worlds: You can live like royalty in a fully-furnished cabin with all the amenities, while enjoying the silence and seclusion of a location deep in the foothills of the Appalachian Mountains. In fact, if you go deep enough into the enticing woods that surround Cedar Creek and the whole of the Helen area, you might even make those pesky cell-phone bars go away entirely! Our lovely, spacious cabins are built to invoke rustic charm, with wood-and-stone facades covering thoroughly sturdy and modern construction. From the outside, they're attractive 19th Century-style cabins in the woods. On the inside, you get the same conveniences you'd demand from an upscale hotel. Quiet time in front of a roaring fire, within an authentic stone fireplace. Some much-needed rest on leather couches and furniture. Widescreen TVs with SurroundSound, far away from any noise complaints. Unparalleled views across the pristine majesty of America's purple mountains. Sunshine streaming into your window, tinted through morning mists. Nature hikes where the only tweets come from the birds around you. Secluded encounters in sunny meadows without another soul for miles. Fishing, hunting, and all other manner of outdoor activities. With cabins like these, you might not even venture back down the mountain until it's (unfortunately) time to go home again. There's something for every nature-lover in your family, even that cranky uncle who thinks computers were a bad idea. There's A Lot To Do In Helen! That said, if you do decide to leave your cabin, Helen has plenty to offer. Our delightful little town is one of Georgia's top tourist attractions, bringing in millions of guests a year. Yet, with so much wilderness all around us, you won't have to fight any crowds. Helen is widely known around a six-state area as one of the best destinations to get away from it all, along with a selection of boutique shops, restaurants, and artisans who can make any trip to Helen one you'll remember. From our hand-crafted local cheeses, wines, and sausages, to our wide selection of excellent riverside shops, you're likely to wonder why you spend so much on mass-produced junk. We've got plenty of options to explore the countryside as well, including boats, horse-drawn carriages, and even hot air balloons. If you've never seen the wonders of America's mountains from the air, it's an experience that simply cannot be described. And from your vantage point in Helen, you'll be able to see far into the Appalachians, as well as all the way down to Atlanta! So, if the 21st Century is dragging you down, or your family needs to be reminded that there is life beyond social media, come visit us in beautiful Helen, Georgia! When you stay at a Cedar Creek Luxury Cabin, you'll see why it's just the thing to put a smile on anyone's face... no matter how grumpy the world has made them.